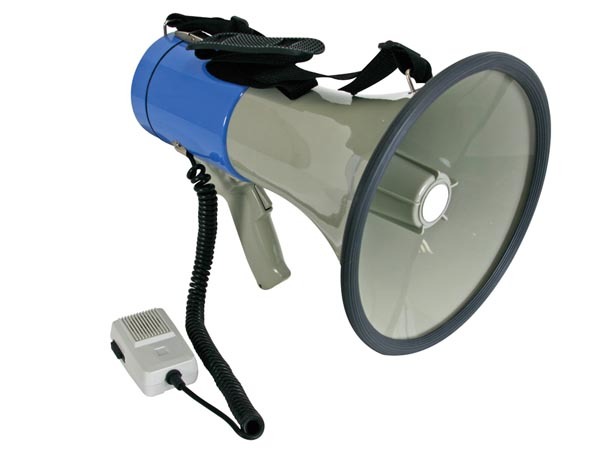 Hand-held megaphone with shoulder strap. whistle and siren. Detachable anti-howl microphone with coiled lead, on/off switch and volume control. ABS housing.